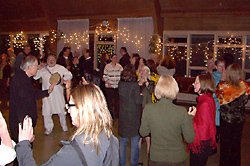 The Awakening Heart Circle, a Sufi Order International centre in Toronto, hosts an annual New Year's Eve celebration. 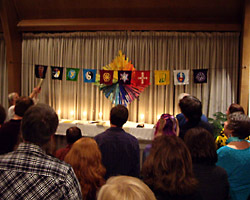 The event features a pot-luck dinner, Universal Worship service, Dances of Universal Peace, and Sufi zikr ceremony (the remembrance of God). Please join us for this special evening. No alcohol. No nuts in food. A biting tongue goes deeper than the point of a bayonet, and cutting words pierce keener than a sword.